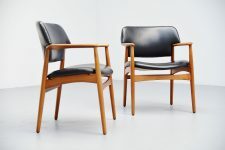 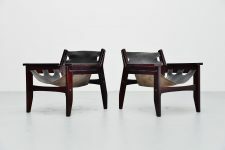 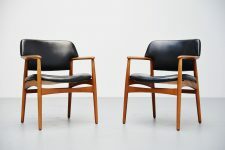 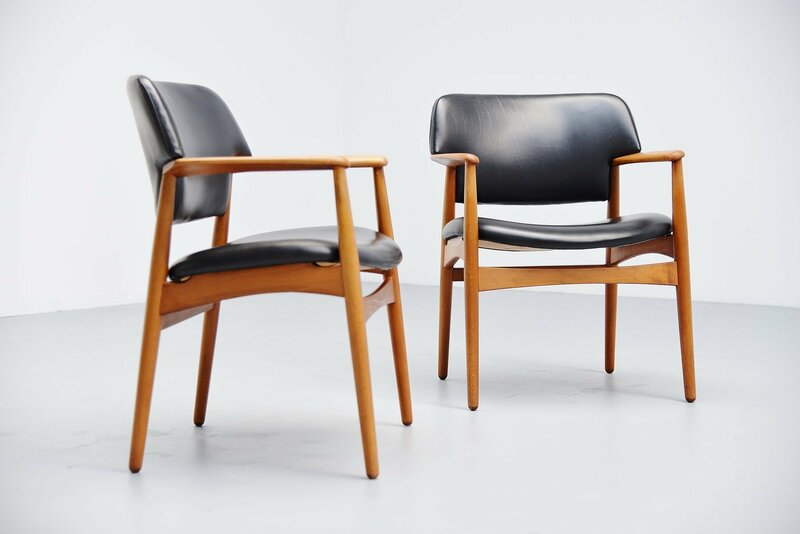 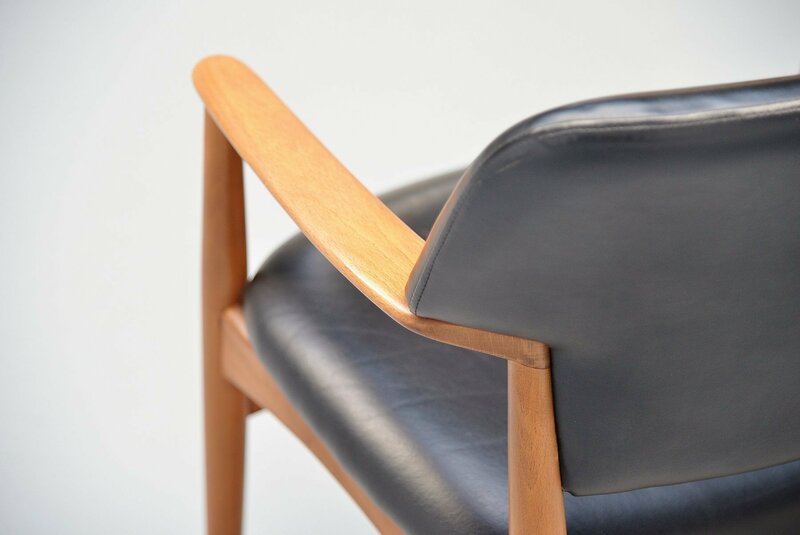 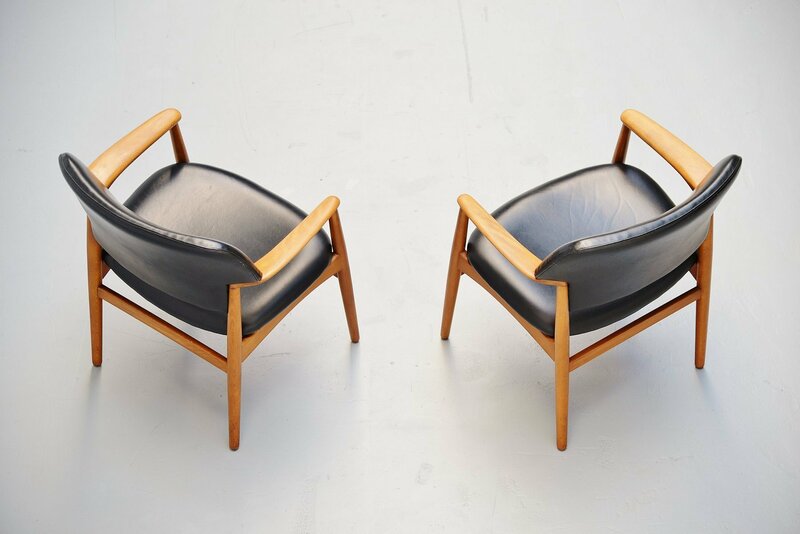 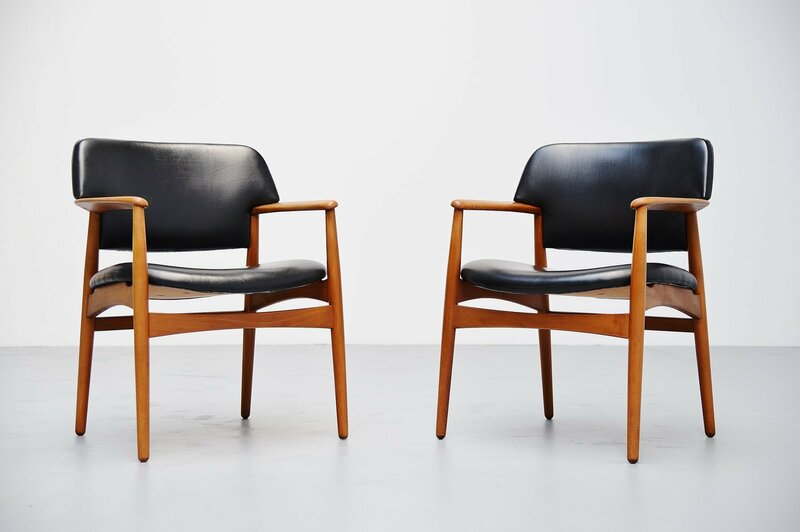 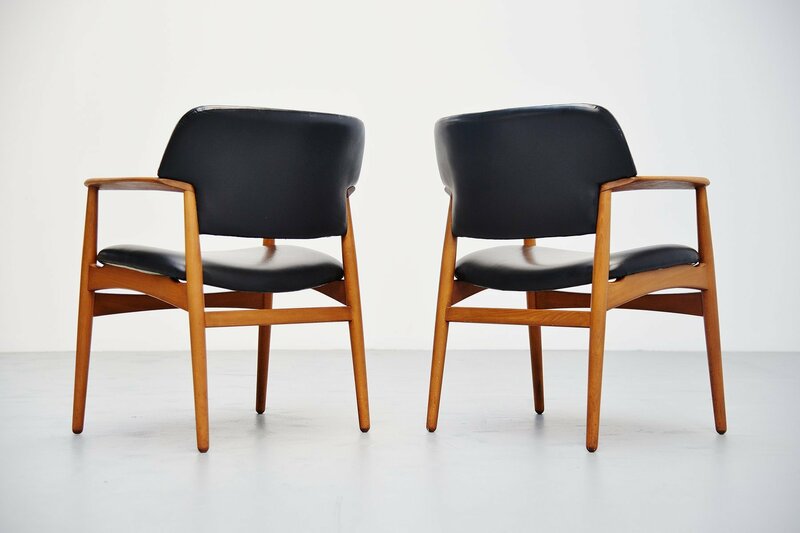 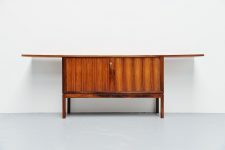 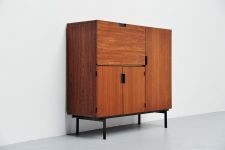 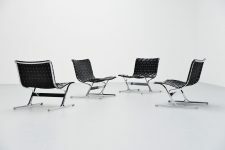 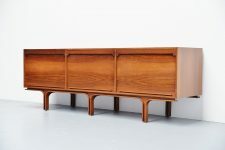 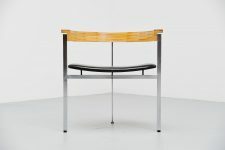 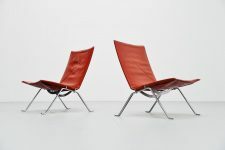 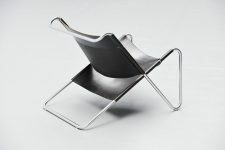 Very nice pair of armchairs model 4205 designed by Ejnar Larsen & Aksel Bender Madsen for Fritz Hansen, Denmark 1955. 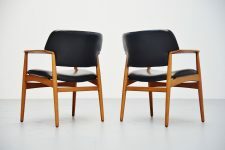 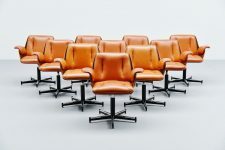 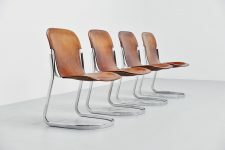 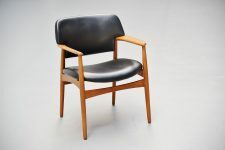 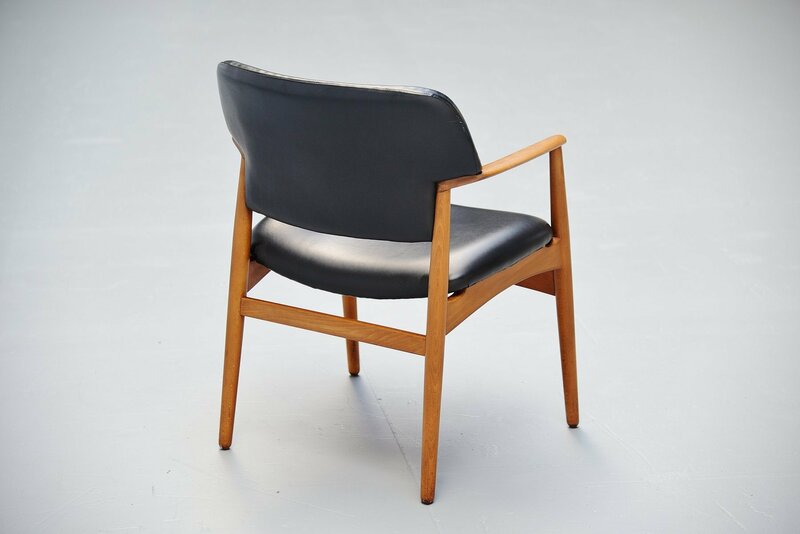 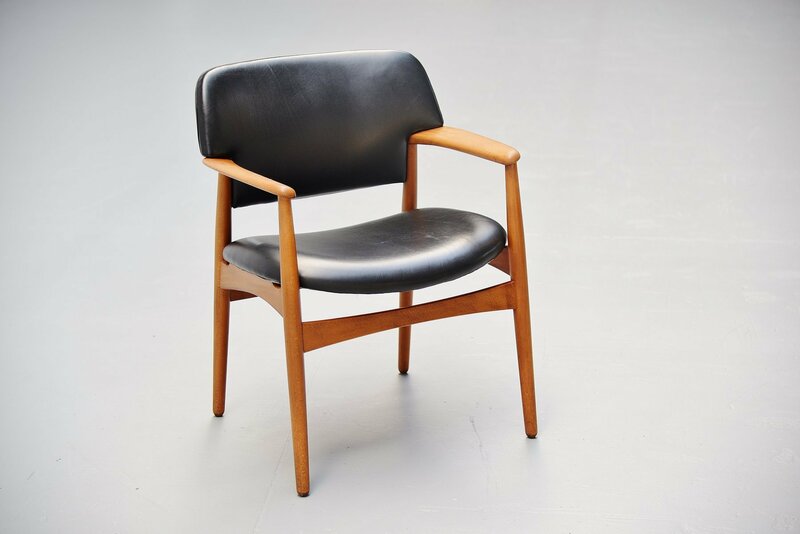 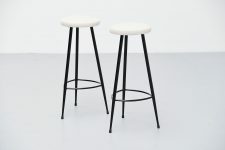 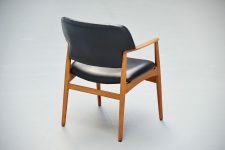 These chairs have a solid birch wooden frame and black vinyl upholstery. 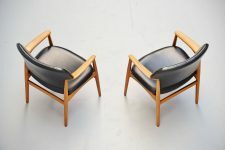 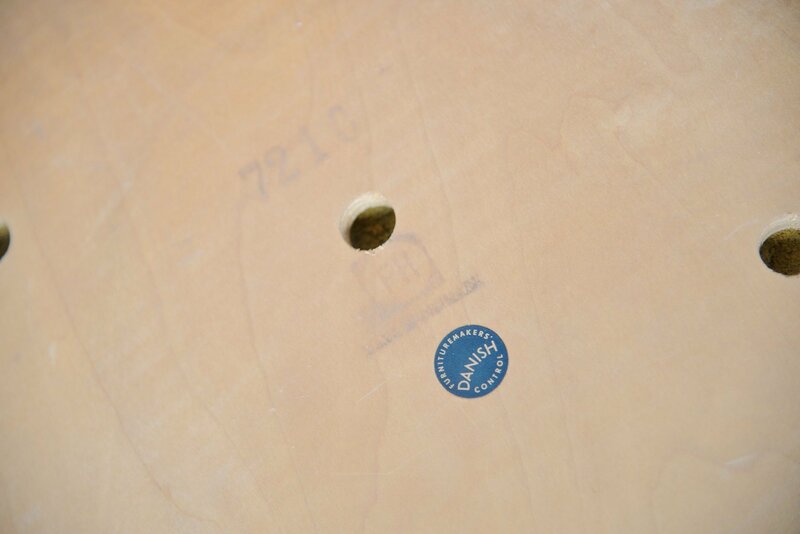 The chairs are in excellent original condition and are both marked with the FH stamp at the bottom of the seats. 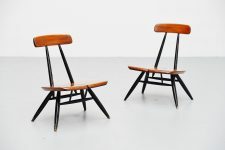 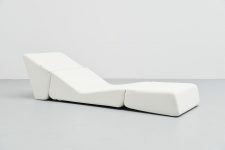 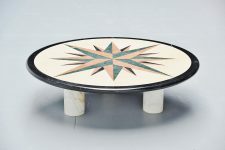 These chairs are hard to find and especially in this pristine condition.